A Curtain Raiser of 8th CMS VATAVARAN was organised on October 8, 2015 (6.30 to 7.30 pm) at The American Center. 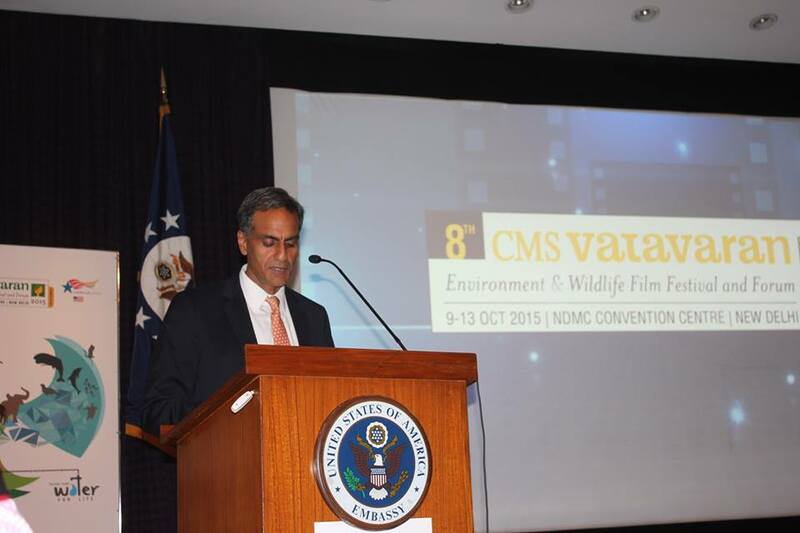 Mr Richard Verma, the Ambassador of US to India launched the film festival and forum. Speaking on the occassion, Mr Verma said, "...this notion of bringing film and technology and popular culture together is really, really important (for spreading awareness amongst people for environment and climate). The curtain raiser programme showcased clips of some of the nominated films of CMS VATAVARAN. Eminent filmmaker Mr Krishnendu Bose and renowned Waterman of India, Mr Rajendra Singh deliberated on the importance of using documentaries to talk about conservation issues. 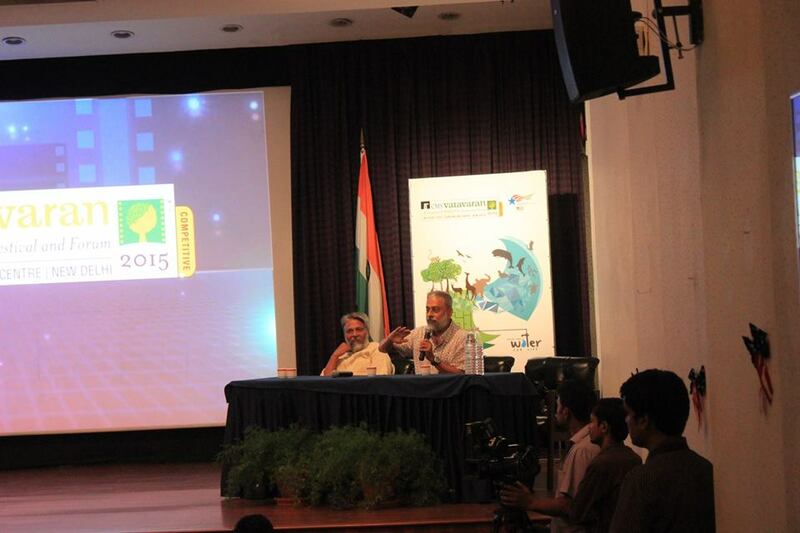 Mr Rajendra Singh and Mr Krishnendu Bose spoke on the importance of films in conservation. The programme was attended by invited filmmakers, representatives of the US Embassy and The American Center, journalism and mass communication students and faculty, journalists and conservationists. The American Center is the Country Partner of CMS VATAVARAN's 8th competitive and 7th travelling film festivals. The 8th CMS VATAVARAN was recently held from October 9 to 13 at the NDMC Convention Center. The 7th travelling film festivals will be held in five cities namely, Allahabad, Gandhinagar, Trichy, Nasik and Guwahati in 2016.